Q: If Willy Wonka won't let anyone in the factory, who makes the candy? Q: Is 'Willy Wonka & the Chocolate Factory' based on a book? 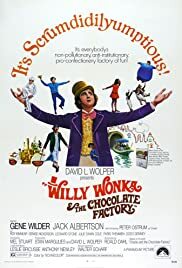 Surprisingly, Roald Dahl (author of Charlie & The Chocolate Factory, on which this film is based) reportedly hated this big screen version of his book. There's no denying that the book is sheer genius, but in all honesty this film adaptation is exceptionally well made too. In fact, it comes high up on my list of all-time movie favourites. The Wonka Chocolate Factory is an amazing building from which some of the most scrumdiddlyumptious sweets are delivered to the world's candy stores. Wonka-mania hits the world when five golden tickets are hidden inside packs of Wonka bars - for the winners will be granted a tour of the top-secret factory. Young Charlie Bucket, a poor boy whose family cottage lies within sight of Wonka's factory, dreams of becoming a winner - but with barely a penny to his name, does he have a chance? What makes Willy Wonka and the Chocolate Factory such a success is the way it skillfully blends entertainment and a serious underlying moral. Each winning child is exposed as being rotten-to-the-core, then dealt with harshly and dismissively by Wonka. Seeing these awful brats get their come-uppance is hilarious, enjoyable and - on a serious level - quite eye-opening (it's as if parents in the audience are being told how to prevent their children from turning bad). 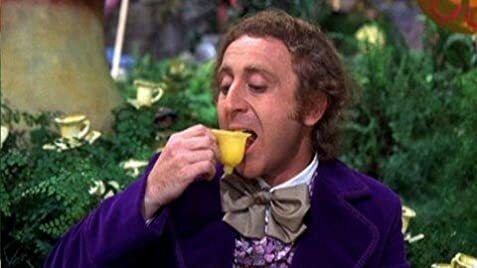 Gene Wilder was simply born to play Wonka (every eccentric phrase, every bemused expression, and every mischievous glance is judged to perfection). The film's set design is fabulous, with particular high-spots including the chocolate room, the egg room and the wacky corridor which gets smaller and narrower the closer you get to the end. Willy Wonka and the Chocolate Factory is simply magic - a film that everyone must see, especially parents whose kids are just becoming that bit too big for their boots! 108 of 126 people found this review helpful. Was this review helpful to you?